Hey hey, Arlington, VA! Visit your local farmers market for fresh, local produce and fresh nutrition info, too. 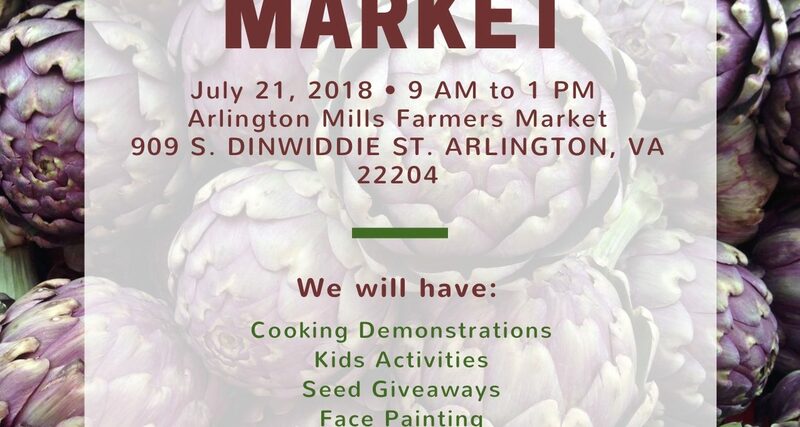 Virginia Cooperative Extension (VCE) will host a FREE Family Fun Day at Arlington Mill Farmers Market on Saturday, July 21, 9am-1pm. Family Fun Day is a no-cost, community-wide nutrition and health fair to encourage families to eat right and stay active. The event will feature a cooking demonstration led by VCE staff and Master Food Volunteers, along with educational activities for kids. 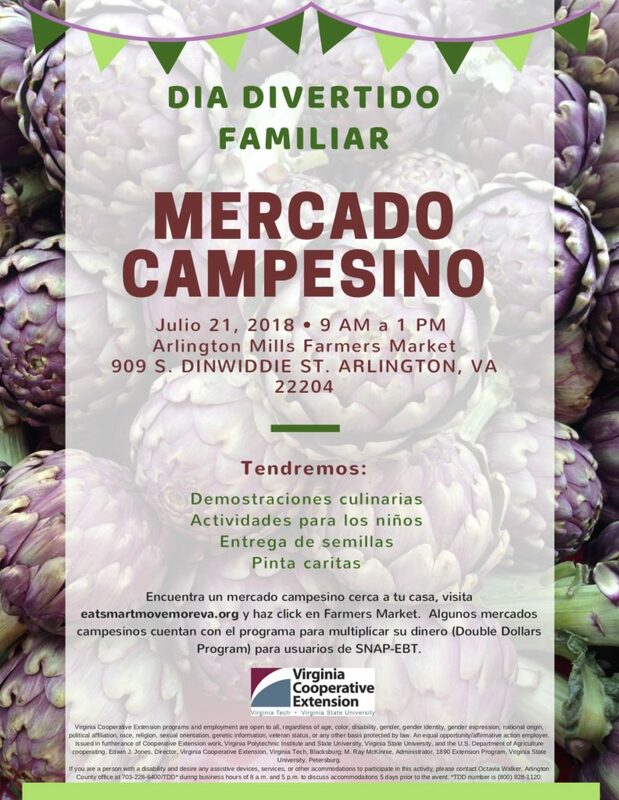 Almost 100 markets in Virginia now accept SNAP, formerly known as Food Stamps. Many sites offer SNAP matching as well. This means if you spend $10 in SNAP benefits, then you will receive an additional $10 in tokens to spend at the market. 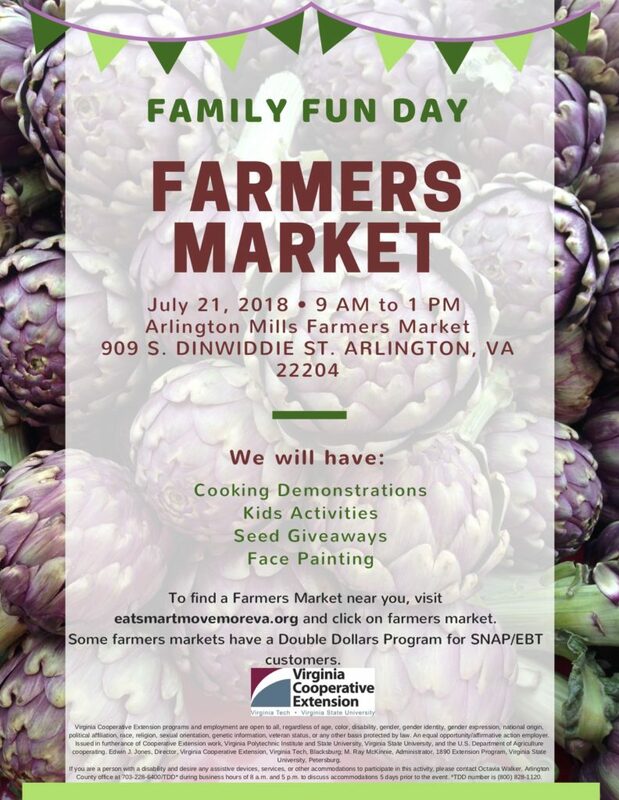 VCE’s Family Nutrition Program offers resources such as recipes, tip sheets, seasonal produce calendars, and videos to help people shop at a farmers market and cook delicious, healthy meals. To access these resources and find out if a market accepts SNAP, visit www.eatsmartmovemoreva.org. You can can – and do it safely!